For local databases define your model. 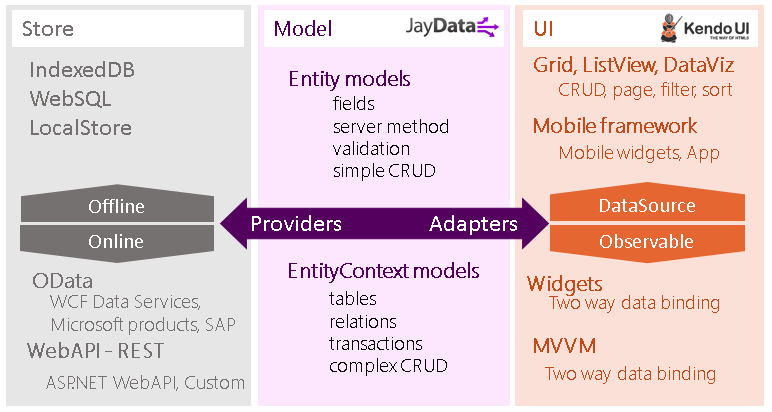 Access your data on a remote server using oData, no need to define your model. Step 3 – Use it with Kendo UI or with OData. Once you have your database use it with Kendo UI. Once you have your database use it with OData.